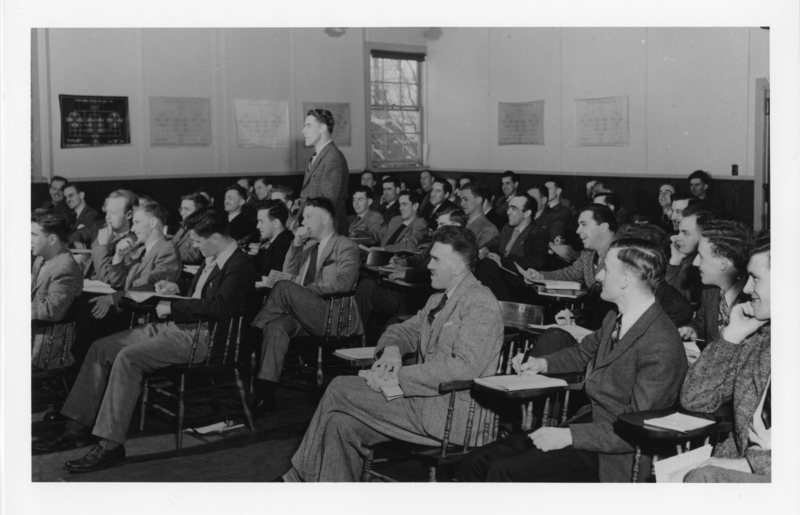 File consists of four copies of a photograph and a photographic negative of veterans in a Burns Martin's English class. The photograph was selected for inclusion in the publication "The Lives of Dalhousie University, Vol. 2" by Peter B. Waite (page 149).